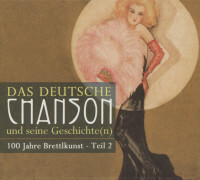 "Various - Das deutsche Chanson und seine Geschichte"
Unique documentation - the history of German-language chanson from its beginnings a hundred years ago to the present day. Poetic and political world theatre in three hundred times three minutes. A total of about 300 chansons on 12 CDs. The most important representatives of their respective epochs. Famous stars and (new) discoveries. Extensive, attractively designed booklets, information about the songs, their authors and each individual performer. 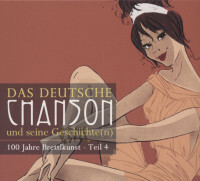 In France almost everything that is sung is chanson, but German chanson is a very special kind of song. In return, the French term'le lied' also means only one particular genre of singing, the German art song. C'est si bon, as it says in a chanson classic, or with Hildegard Knef's line: "what does it matter? What matters is how it sounds! When you sing: "I am in love" - then it is an operetta. When you sing: "Be nice to me" - then it's a hit. But when you sing, "I'm set on love from head to toe." 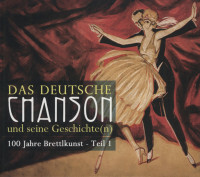 Poetic world theatre of life, love and suffering in three minutes - 100 years ago, the new tone of chanson suffered in Germany too. 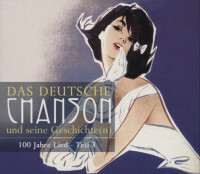 Modern are light but not shallow songs with German lyrics in the 21st century. The media, SWR's list of best songs, the Deutschlandradio's Chanson of the Month, venues such as Frankfurt's Chanson-Club Mosaik and the ever increasing number of German chanson festivals, for example in Berlin, Hamburg, Stuttgart and Heidelberg, bear witness to this. She's not very pretty. But it doesn't matter. Sie ist eine Frau. Und steht ihren Mann. Und hat Musik im Bauch. Customer evaluation for "Das deutsche Chanson, Teil 4 (3-CD)"
Einmal mehr hat Bear Family ein Projekt vorgelegt, das zur Pflichtlektüre nicht nur im Musikunterricht gehören, sondern auch im Fach Geschichte Einzug halten sollte. Dank der ausgezeichneten Auswahl der Titel, den faszinierenden Booklets und dem durchweg guten Klang kann man diese CD-Boxen allen wärmstens ans Herz legen. Etwas Besseres wird man nicht finden. Besser kann so ein Thema nicht aufbereitet werden! Allerhöchste Empfehlungsstufe!